I am back with another pumpkin recipe today. I warned you guys, when it comes to pumpkin I can not help myself! Today is a simple pumpkin cupcake made from a premix cake mix just adding a few extras to make it a moist pumpkin muffin. Then topped with a simple homemade cinnamon frosting. I love taking a few short cuts in the kitchen by jazzing up a premix cake. This mom does not have time these days with making everything from scratch, so this works perfectly. Shh, no one has to know! Add a few Halloween colored sprinkles or a plastic spooky garnish and they will be the hit of any Halloween party or just a treat for the kids when they get home from school. Your recipe looks incredible! Love your photography too. Pinning now! 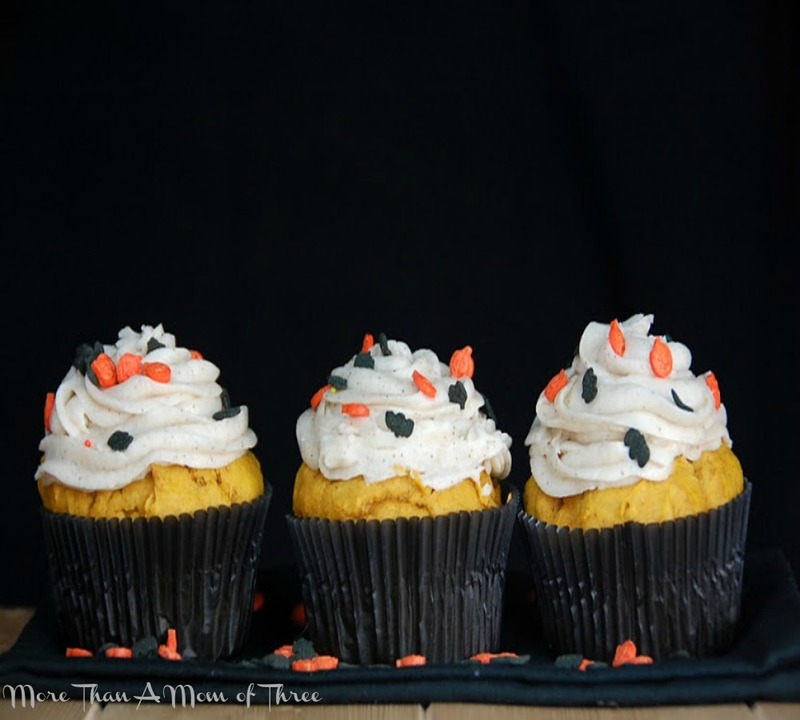 Oh my these sound delicious and as I’m craving Pumpkin perfect for a snack. Oh this sounds amazing. You had me at Cinnamon Frosting! Linking up from Home Matters Linky Party. These sound so good. I love this time of year when everything is about pumpkin flavor! They look delicious! It would certainly be a hit around here. I’m a sucker for a good pumpkin recipes. These look so yummy. Pinning them to my pumpkin board. I am also a pumpkin everything and anything lover. These sound so good and pretty easy to make. I think even I could whip up a batch. Okay I have a confession – I have never made pumpkin anything. Not pie or cake or cupcakes! Shocking, I know. But we have such a large family, there are far better bakers than I. But we’re moving away and I wont have anyone to bake for me so I’m going to try these! This sounds so amazingly delicious indeed. 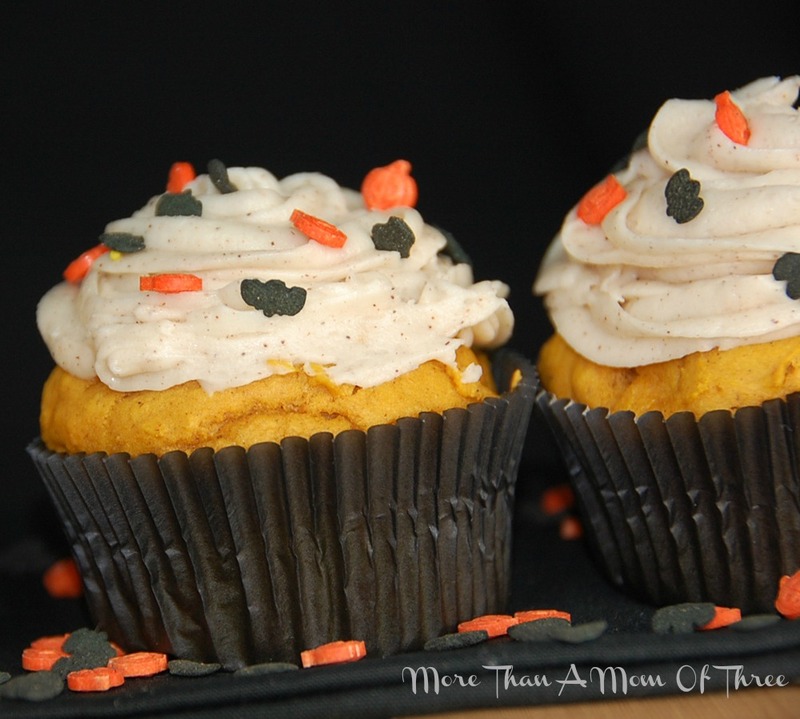 Pumpkin cupcakes with cinnamon frosting, oh so Yummy!! 🙂 Thanks for sharing. Those are cute and perfect for the season. They would be a great addition to a Fall festival or cake walk. These look really good. The cinnamon frosting sounds just right, too! Going to pin this so I can keep it handy to try later. Those look so tasty! I love how you chose to decorate them, too. Super cute! Yummy! Your cupcakes look so delicious! 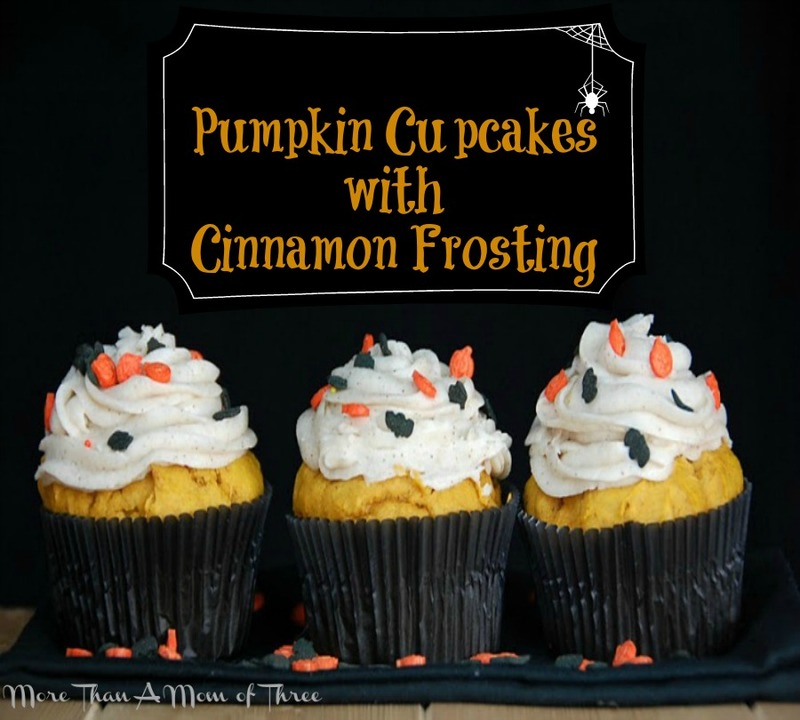 Pumpkin cupcakes sound good enough, but with the cinnamon icing on top…I want some! Thanks for linking up at Show Me Saturday!